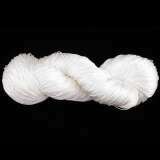 SILK YARN is wonderous! Nothing else compares! Make stunning woven cloth, luxurious knits and crocheting, braids, tassels and embellishments with Treenway Silks' silks. 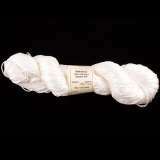 Many of our shiny, soft and smooth yarns have been designed by Treenway Silks to meet your special needs. --All bales arrive in Colorado undyed. 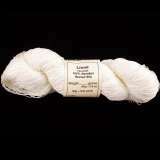 --You may order undyed (natural color) yarn, and if you'd like, order dyeing as an additional item. --For Treenway Silks' yarns that are already dyed, check out our Color Now! selections here. 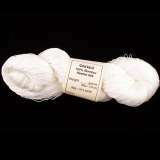 --Treenway Silks' skeins vary a bit in weight, so we charge by the gram. If your skein is a bit smaller, you'll pay a bit less; conversely, if your skein is a bit heavier, you'll pay a bit more. --When we pull your skeins and weigh them, your price will adjusted before your credit card charge is finalized. --If you have specific yardage or weight needs for a project, please, provide that information in the "comments" box during check out and we will meet those needs or give you a follow up call to discuss your order. --Before you order you may wish to visit About Silk where we provide information about our silk products.